Chalk Contour Of Vintage Watering Can With Leaves And Flowers.. Royalty Free Cliparts, Vectors, And Stock Illustration. Image 100967596. 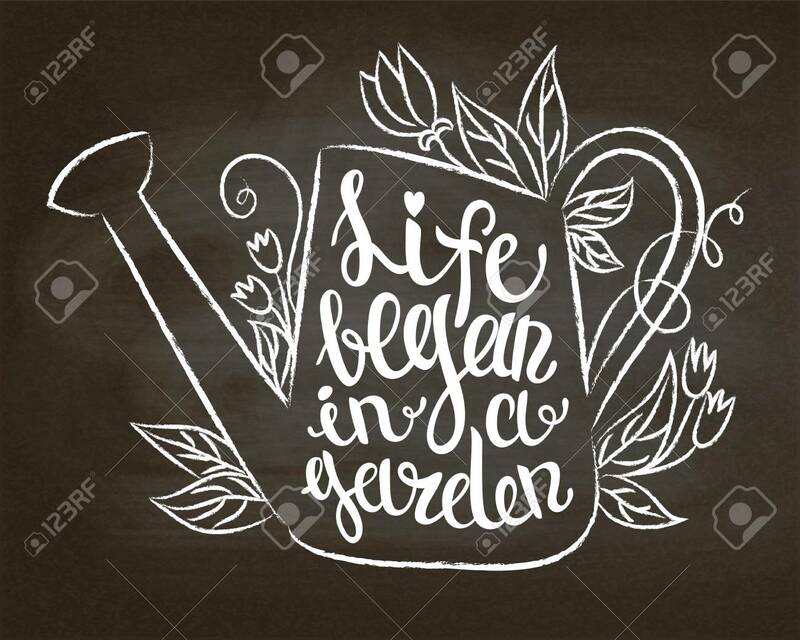 Vector - Chalk contour of vintage watering can with leaves and flowers and lettering - Life began in a garden on chalk board. Chalk contour of vintage watering can with leaves and flowers and lettering - Life began in a garden on chalk board.